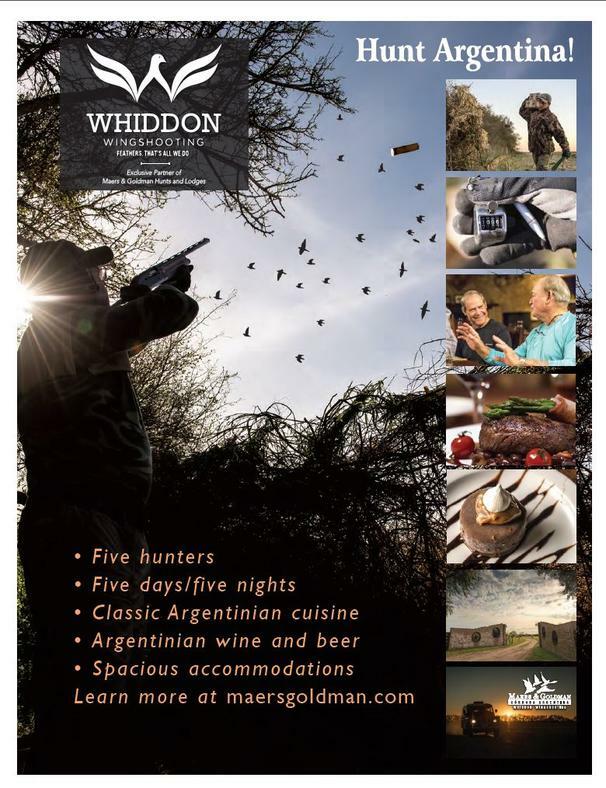 I'm booked to be part of a dove hunt in the famous Cordoba regions of Argentina but due to unforeseen circumstances won't be able to attend. This hunt was won at a Cal Waterfowl benefit dinner. So I need to sell my seat. This is a super deal on a once in a lifetime experience. The dates are flexible! The price for this spot is $600 (what I paid). -5 days/nights of accommodations in premium hunting lodges (AC/heat, showers, wifi). -Classic Argentinian cuisine, wine, and beer (open bar). -Shotgun (can be rented), shells, license, tips for gun boy and staff. Additional wingshooting and big games opportunities are available. For more info email me or check out Maers and Goldman Wingshooting site. Last edited by bchains; 11-08-2018 at 05:36 PM. Just in time for Christmas guys, give yourself an awesome gift!